It’s only a matter of weeks after Oscar season ends that Emmy season begins. I know, it’s hard to believe, but within the industry — especially the many publicists we deal with on a daily basis — the calendar year has become one long awards season. 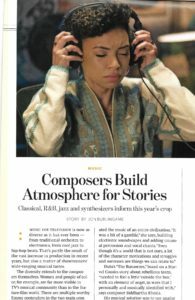 Still, Emmy season is a great way to catch up on the many fine shows that now grace the small screen, and in this first of a series of stories about Emmy-worthy work in music for television, we look at a handful of potential nominees in the series- and limited-series-scoring categories. In this second story, the role of music in current science-fiction series is examined. A third story looks at the music for four of the season’s top limited series, including Howards End and Patrick Melrose. And a fourth story looks at the odds of documentary scores, including The Vietnam War and Blue Planet II, attaining Emmy glory. 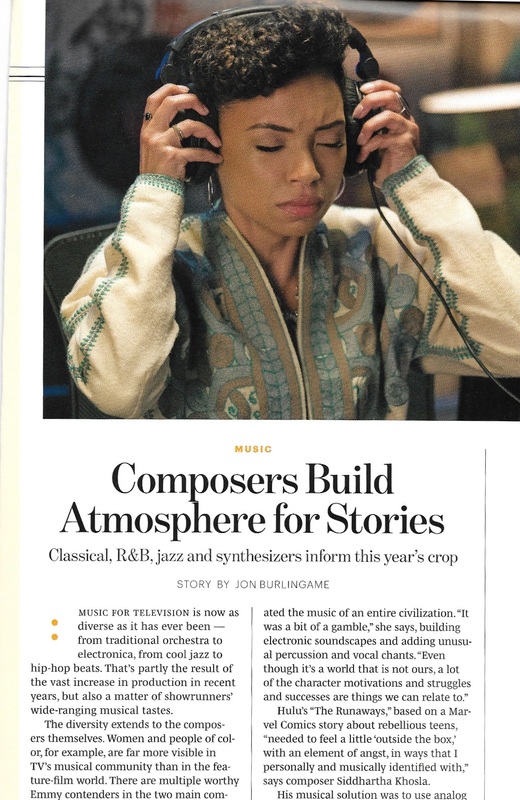 This entry was posted in Composers, Interviews, Television Music and tagged Atticus Ross, Blue Planet II, Emmy music, Emmys 2018, Hauschka, Howards End, Jeff Beal, Joe Kraemer, Kris Bowers, Kurt Farquhar, Nico Muhly, Pinar Toprak, science fiction music on TV, Siddharha Khosla, The Vietnam War music, Trent Reznor, Variety on June 1, 2018 by Jon Burlingame.